Asus CEO Jerry Shen revealed an aggressive tablet strategy involving a variety of products aimed at different audiences and price points. The price of the Asus tablets, combined with coming late to the party, and poorly timed product releases virtually guarantee the Asus devices will stumble--if not fail completely. Asus had previously announced plans to join the tablet fray--which tech company hasn't at this point? Now there are more details regarding the capabilities, pricing, and availability of the various Asus tablets--launching right after the holidays, or coinciding with the anticipated release of the next version of the Apple iPad. While all of the tablet PC and e-reader wannabes work vigorously at the engineering drawing board trying to build a better mousetrap, Apple continues to sell millions of iPads, and Amazon continues to dominate e-readers with the Kindle. New players in these markets need to compete with these leading devices by delivering unique capabilities or cheaper prices or both--and to some extent timing is everything. 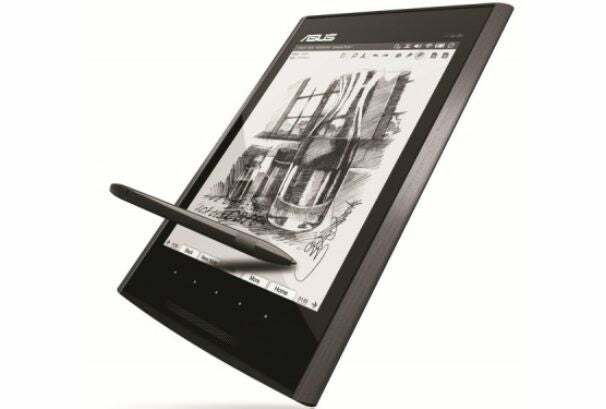 Asus plans to launch an e-reader competitor dubbed the Eee Tablet in October. Asus may rename it the Eee Note so that it isn't confused with other tablet PCs. It has a grayscale display--not digital ink, just shades of gray, runs on a custom Linux build, and it will sell for $300. This is in a market where the next-generation Kindle is available for only $139, and the competing Nook is $149. Good luck selling a $300 device against a $139 Kindle. The Windows-based tablets from Asus at least seem to bring something new to the table. Asus is planning two versions--one based on Windows 7 Home Premium for about $1000 (includes a dock to become a sort of netbook hybrid), and one based on Windows CE 7 for between $400 and $500. With a 12-inch display, Intel Core Duo processor and full Windows 7 OS, the Eee Pad EP121 will be more cumbersome than competing tablets, and it will have cooling and battery life issues. But, the biggest obstacle to the success of the Asus tablet will be the fact that it is scheduled to launch in the first quarter of 2011--right after most of the world has already just purchased new netbooks, notebooks, tablets, and e-readers for the holiday season. Then, there is the most iPad-equivalent product from Asus--an Android-based tablet--set to launch in March of next year for about $400. While $400 is less than the current bottom end of the iPad lineup, and a capable Android tablet could help fill a void that the Dell Streak should have filled, the timing couldn't be worse. The JooJoo--the resurrected CrunchPad--tried to launch at roughly the same time as the Apple iPad. It wasn't pretty. According to court documents uncovered by Gizmodo from the TechCrunch lawsuit against JooJoo, the device had only 90 pre-orders and 15 of those cancelled. There are already rumors circulating about the next-generation iPad and Apple likes annual release cycles. That means that just as Asus tries to make a splash with its Android tablet, Apple will be the center of attention as the world waits for a new iPad--perhaps with a camera or two, and a faster processor, and an HD display. Apple could cut the pricing model of the iPad as well--taking the wind out of the sails of competing tablets that hoped to undercut the iPad. To sum up: Asus is coming to the e-reader party at least a year too late with a device priced more than twice what it needs to be to compete in the market, followed by Windows-based tablets immediately following the holidays after most people have already acquired new technology and don't have any money left, and wrapping up by launching an Android-based tablet head-to-head against the next-generation iPad.